April 21, 2017 By Tina M Leave a Comment This post may contain affiliate links. Read my disclosure policy here. Oh the dear poop emoji that we have all come to love (how can we not love those bright eyes and wide cheesy smile?). 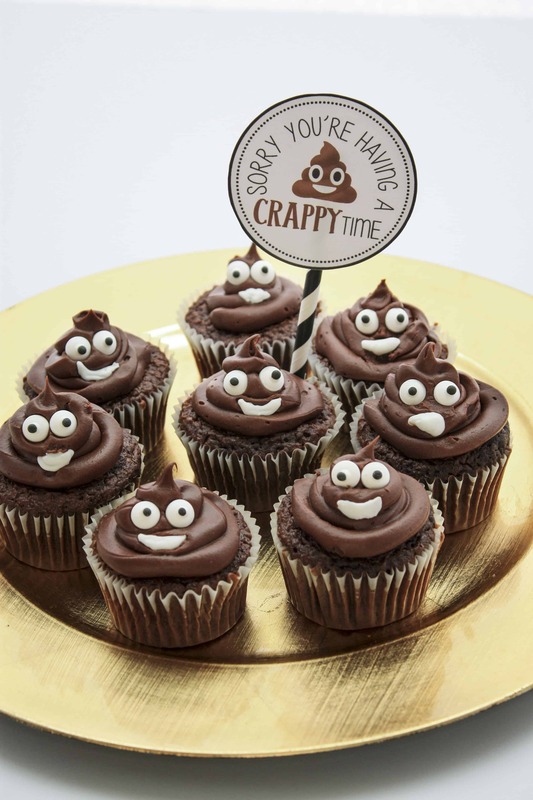 Why not some poop emoji cupcakes for someone who could use some cheer?? I was walking through the store the other day and saw an emoji balloon, and thought it would be fun to make a poop emoji gift basket for a friend who was having a rough time. 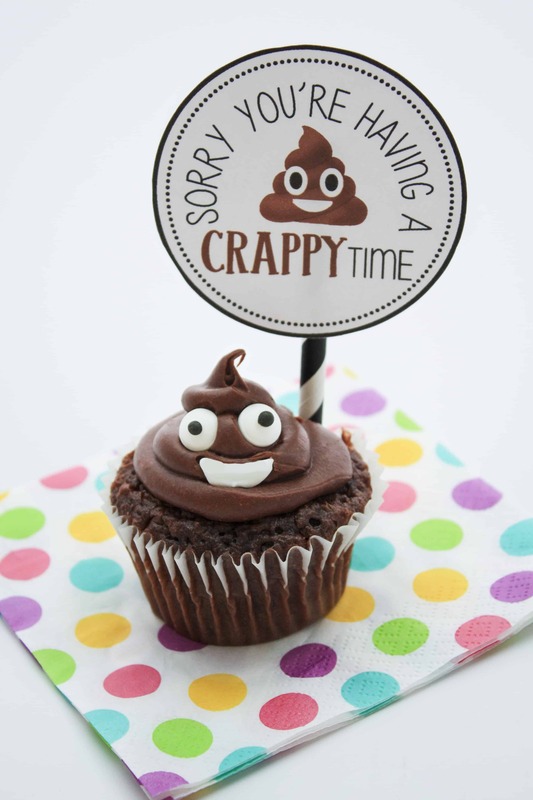 I left a tag saying, “sorry you’re having a ‘crappy’ day.” It was a huge hit, and I’ve done several poop emoji gift variations since, including these adorable Poop Emoji Cupcakes! Even if you don’t know someone going through a rough time, kids LOVE these and get such a kick out of them. Have them waiting when the kids come home from school and they will think you are the coolest, hippest mom ever. 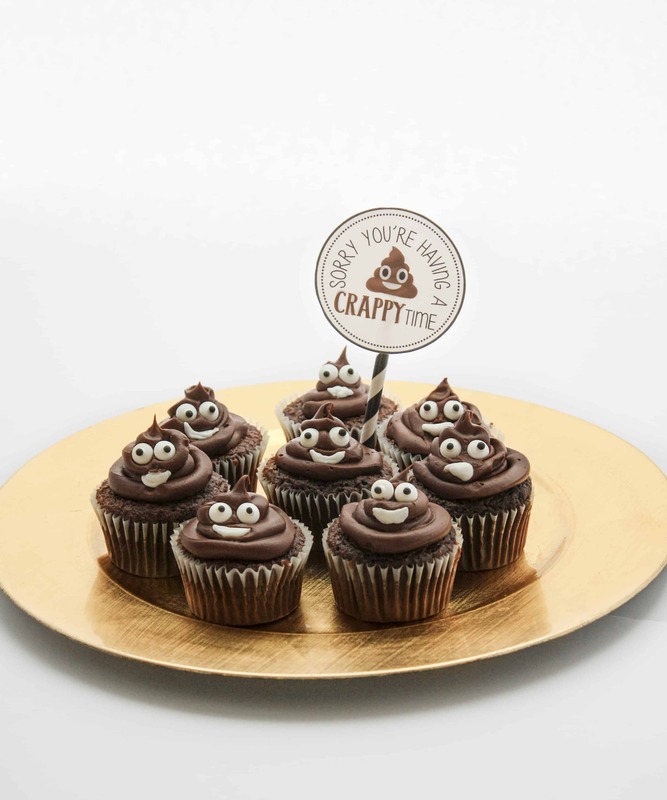 I hope you find the perfect gift tag for your very own poop emoji cupcakes! What do YOU appreciate getting on a “crappy” day? !